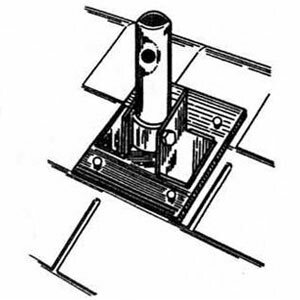 Swivel Base Plate - illustrated on sloping roof. Provides footing for frame assembly on uneven and angle surfaces. Has four nail holes in base. Wt. 3 1/4 lbs.